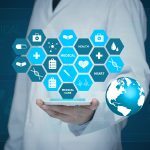 Social media is emerging as an exciting and promising set of tools that can help bridge the gaps in communication between patients and healthcare professionals. It facilitates peer-to-peer discussion between practitioners, enables dissemination of online educational resources and fosters support and information-sharing in patient groups. Social media is an umbrella term that encompasses any digital platform (website or application) that allows users to create, share and comment on content. In addition to the usual suspects – Facebook and Twitter – social media also encompasses blogs, forums and wikis, for example . And as such, the advantages and possibilities are huge. You can join the Cardio Debate community online, by following us on Twitter and joining us on Facebook. We also have en extensive collection of interviews and lectures on our YouTube channel.